husband of Nancy, loved father of Suzanne (Mrs W J. Barrett), fond father-in-law of John and loving grandpa of Judith, Russell and Simon. Aged 75 years. 2 May 1883, THE TARIFF COMMISSION. TUESDAY, MAY. 1. Present-Messrs. Mirams (chairman), Lorimer aud Messrs, M L C's, Zox, M'Intyre, Walker, and Bosisto, M L A 's, Grimwade, and D Munro. H Burrows, of Dillon and Burrows, confectionery manufacturers, stated that they employed about 100 hands. There was a difficulty in getting workmen. Their experience was that very few people able and willing to work were out of employment. The present tarriff was exactly the thing so far as confectionery was concerned. Local competition had brought down the prices of the goods they manufactured. Mr Francis increased the confectionery duty from 1d per lb to 2d. per lb. Lemon peel was imported to a great extent in a partially prepared state, and paid 2d per lb duty. They could not get sufficient lemons here. A good deal had to be done to the imported peel before it went to the grocer. The raw ma terial cost them 6d. per pound besides the duty, and they sold it for only 9d. Some merchants imported the manufactured peel, fit for the shops. The duty on the unpre pared peel ought to be abolished. The duty on shelled almonds was 2d. per pound. That was very large. These almonds were very largely used for various purposes. They cost at home from 6d to 7d. Adelaide almonds cost about 13d. They were perfectly satisfied as to sugar. Queensland sugar was suitable for their industry. The sugar duty was about 10 per cent. If the duty was abolished the public would get the benefit, through compe tition. It was very desirable that local manufacturers should be forced to brand their goods. His industry did not suffer from the prejudice against colonial goods. As to lemon peel, only a few lemons were grown in Victoria. He never bought Victorian almonds. They were sold in the shell, and it would not pay him to buy them in that state. But there was a demand for almonds in the shell. The present duty of 2d per lb on confectionery, sweetmeats, &c., had greatly promoted the growth of the industry. A duty of 1d per pound would not be sufficient protection. He did not export lollies to any great extent. Some of the best kinds of goods were sent to Sydney. There were manufacturers in his line in Sydney. The duty there was 1½d per lb . and on sugar 5s. per cwt. R. Black, of Black and Spencer, confectionery manufacturers, stated that he agreed generally with Mr. Burrows. The prices of confectionery before the imposition of any duty were much higher than at present. The manufacturers met monthly, and arranged the prices. If there was no sugar duty or machinery duty he thought the confectionery duty might be reduced. He was about importing some patented machinery, on which he would have to pay £40 duty, and which could not be manufactured here. The prices of confectionery here were now 50s per cwt for boiled, and 60s for dry. T. Swallow, of Swallow and Ariell, biscuit manufacturers, deposed that they employed in the biscuit factory about 335 hands, of whom about 170 were lads and girls under 18 years. They could do with more employees of the right sort. The tariff had not affected his industry at all, so far as the biscuit duty was concerned. The duty on biscuits was 2d per lb. But other duties injuriously affected the industry. He was a large exporter. Before the imposition of the biacuit duty a very large proportion of the imported biscuits landed were damaged ship's stores. Now such articles were not limited. The industry had very much increased during tho last two or three years. The biscuit duty set a bad example, and caused an erroneous impression that the industry was being protected. He would like to seo the abolition of the duties on wheat and flour. On " sharps," or pollard, the duty was £2 per ton, and that article could be largely obtained in Adelaide and New Zealand if it was not for the duty. He would also like to see the duties abolished on dried fruits, peels, and almonds. Butter was another important article. He had to import a lot, and the duty was 2d per lb. The Victorian supply of butter was not ample. The machinery duties likewise affected his in dustry. Some industries got their machinery free. He would not object so much to paying duties on machinery that could be manufactured here. He exported biscuits to all the neighbouring colonies, where he could compete with English goods. The article was of a perishable character and that favoured the nearest producers. The biscuit manufacturers of Melbourne had more than once asked the Government to abolish the biscuit duty. The abolition of the duties on sugar and dried fruits, &c., would lead to a general reduction in prices of the articles he manu factured. Sharps were cheaper in New Zealand than here. J H Walker, biscuit manufacturer, said that he agreed with Mr Swallow. Ship bread could not be made here as cheaply as in Sydney, because of the higher price of sharps here. If sharps were admitted duty free, we could compete with the other colonies. T B Guest, biscuit manufacturer, stated that he employed about 90 hands. He did a very little export trade. As to the machinery duties, they were levied on articles that could not be manufactured here, partly because it was patented. Where a firm made a large number of any particular machines they could of course sell much cheaper than when one of such machines only was made by a firm. John Conlon, representative of the Opera tive Bakers' Society, said be had been in the trade 33 years, and in the colony 15 years. The society he represented contained over 300 members. He was deputed to complain of the treatment of journeyman bakers as to wages and hours by their employers. The tariff did not affect the journeymen. The CHAIRMAN-I think you should go before the Shops Commission. The Union Trustee Company of Australia Limited and Mr. Thomas B. Guest are applying for probate in the estate of Mr. Thomas Bibby Guest, of Glenferrie road, Hawthorn, who died on October 21 and left real estate valued at £9,360 and personal property amounting to £159,233, which goes to his son, Mr. T. B. Guest, and grandchild, Elizabeth Suzanne Guest, aged 3 years, in the terms of the will. There are also assets in New South Wales, Queensland, and South Australia. [S61] Upper Beaconsfield History Archive ,"Nancy Guest's obit in Village Bell." [S2] Registry of Births Deaths and Marriages Federation Index Victoria 1889-1901 "#B3743." [S11] Newspaper - Argus 20 Nov 1935, p15. [S5] Registry of Births Deaths and Marriages Death Index Victoria 1921-1985 "#D7249 (Age 43) [par Daniel Manson TAYLOR & May GRANT]." [S185] Property Titles. ; PROV (Public Records Office Victoria), C/T 4116-086 - Thomas Bibby Guest of 795 Malvern Road Toorak Director. [S185] Property Titles. ; PROV (Public Records Office Victoria), C/T 6343-407 - Thomas Bibby Guest of 795 Malvern Road Toorak Director. [S185] Property Titles. ; PROV (Public Records Office Victoria), C/T 4414-734 - Thomas Bibby Guest of 795 Malvern Road Toorak Director. [S80] Ancestry - Family Tree, Gertsch Family Tree - francesgertsch. [S185] Property Titles. ; PROV (Public Records Office Victoria), C/T 4414-734 - C/T 8531-349 - Thomas Bibby Guest Director and Nancy Dawson Guest Married Woman both of Yuulong Upper Beaconsfield - joint proprietors. [S5] Registry of Births Deaths and Marriages Death Index Victoria 1921-1985 "#D5873 (Age 75) [par Thoomas Bibby GUEST & Elizabeth Lil WATERS]." [S16] Newspaper - The Age 10 Mar 1975, p14. [S185] Property Titles. ; PROV (Public Records Office Victoria), C/T 6343-407 - Thomas Bibby Guest died on 8th day of March 1975. Probate of his will has been granted to Nancy Dawson Guest of "Yuulong" Upper Beaconsfield Widow and The Unon-Fidelity Trustee Company of Australia Limited of 100 Exhibition Street Melbourne. [S185] Property Titles. ; PROV (Public Records Office Victoria), C/T 9252-559 - Nancy Dawson Guest of "Yuulong" Upper Beaconsfield Widow and The Union-Fidelty Trustee Company of Australia Limited of 100 Exhibition Street Melbourne (as Executors of the will of Thomas Bibby Guest deceased). [S185] Property Titles. ; PROV (Public Records Office Victoria), C/T 6343-407 - Cancelled as to part. Pursuant to plan of consolidation CP 108312 - C/T 9321-067. [S185] Property Titles. ; PROV (Public Records Office Victoria), C/T 4116-086 - Chelmaness Pty Ltd of 1 Yarra Street South Yarra - C/T 9603-218. Cremated 12 Mar 1975 at Springvale Crematorium. [S352] St John's Church, St John's Memorial Book, Thomas Benjamin [sic] Guest born 29 Dec 1899 died 8 Mar 1975. [S11] Newspaper - Argus 2 May 1883, p9. [S11] Newspaper - Argus 17 Jan 1934, p6. Death-Notice* 7 Oct 2002 GUEST (Hamilton).—Nancy Dawson, passed away peacefully Oct. 5, 2002, aged 93 years. Loved daughter of the late Allan and Jane Hamilton, sister of William (dec.), Alexander (dec.) and Marion. Beloved wife of Thomas Bibby (Guest) and stepmother of Sue. Nancy Guest (nee Hamilton) was born in a small town near Glasgow, coming to Australia in 1923 when her family migrated here. In the late 20s she spent some time in France, where she met several French wool buyers. One was Charles Martell who owned a house in Upper Beaconsfield, another Henri Renault whom Nancy married in Melbourne in 1930. In the 1930’s Nancy and her husband often visited Charles Martel who owned “Mon Desir” now known as Glendower in McBride Road. Martel was a perfectionist, the paths were swept, the garden beautifully kept, and peacocks strutted the grounds. Nancy became very fond of Upper Beaconsfield. In April 1949 Nancy remarried. Her new husband was Thomas B. Guest, the head of the Guest family, one of Victoria’s leading biscuit manufacturers. A few months before the marriage Tom bought “Yuulong” in Salisbury Road, almost certainly encouraged by Nancy. After extensive renovations and adding a cottage the Guests moved in during October 1949, and rapidly became active members of the community, their home especially noted for its hospitality. Nancy was elegant, charming, gracious, a lady with “style”, described by some as a “grande dame”. Intelligent, quick-witted with a great sense of humour, sometimes mischievous, always outgoing and friendly, she was well known for her generosity. She retained her love of Scotland, and had a great repertoire of Scottish songs, which she loved to sing to delighted audience at the end of a lunch or dinner and, if encouraged, would happily recite extracts from Robbie Burn’s poetry. When the Upper Beaconsfield R.S.L. received its charter in 1951, Tom became the Founding President, a role he filled very capably for 20 years. Fund raising was an important activity, and needed a Ladies Auxiliary. Nancy agreed to become President of the auxiliary if Nell Fullerton (now Turnbull) would be her Secretary. Both were great contributors for many years. 7 May 1932, TUESDAY AND WEDNESDAY, MAY 17 and 18.
Who Returns Immediately to France, and Orders a Complete Disposal. OUR VENDOR Brought MANY BEAUTIFUL ARTICLES of Virtu from Europe on His Visits, and Has Been a Most Discriminating Buyer and Collector During the Last Five Years in Australia. Attention is Also Called to the PICTURES, as Most Important Works by STREETON, McINNES, McCUBBIN, HAROLD HERBERT, HILDER, McNALLY, PENLEIGH, BOYD, AND PROMINENT ENGLISH AND CONTINENTAL ARTISTS ARE REPRESENTED. TUESDAY AND WEDNESDAY, MAY 17 and 18. THERE wasn't even a breeze from the sea to relieve the intensity of the heat at the Mornington Race Club's Christmas meeting yesterday. But despite the heat, a huge crowd of determined racegoers attended. However, the women were fairly lackadaisical about the actual races and stayed firmly under the big umbrellas in the beer garden, or sat on Mie ground near the fences and shady trees. Committee-men's wives helped to look after the many visitors and entertained a number at lunch. Mrs. Reg Ansett, wife of the chairman, had Mrs. John Cain and Miss Marjorie Todd, Sydney, with her, also various members of the Ansett family, who are staying with her and her husband at their home, Gunyong Valley, Mt. Eliza. Mrs. V. Mayes, wife of the vice-chairman, who is at her Mt. Eliza seaside home for the summer with daughter Judith and son John, had as her guests Mrs. E. B. Coles, Mt. Eliza; Mrs. Sloan Morpeth, Mrs. John Ramsay, and Miss Elizabeth Howitt. [S61] Upper Beaconsfield History Archive ,"Charles Wilson from a chat with Nancy Guest at Langmore Lane Berwick 25 Jul 1990." [S22] Victorian Government. BDM Index Victoria (online) "#M7173 - Hy RENAULT & Annie Maria HAMILTON." [S22] Victorian Government. BDM Index Victoria (online) "#M820 Nancy Dawson RENAULT & Wm Allies ISAACS." [S69] Exhibit / Memorial Board, unknown date "unknown cd." [S185] Property Titles. ; PROV (Public Records Office Victoria), C/T 8531-349 - Nancy Dawson Guest Widow is now the surviving proprietor. [S185] Property Titles. ; PROV (Public Records Office Victoria), C/T 8531-349 - Transfer No G949665 - see C/T 9252-560. [S185] Property Titles. ; PROV (Public Records Office Victoria), C/T 9252-559 - G949665 - Inga Gurli Gunness of 15 Madden Grove Kew Director - C/T 9252-560. [S185] Property Titles. ; PROV (Public Records Office Victoria), C/T 9252-559 - Inga Gurli Gunness of 15 Madden Grove Kew Director - C/T 9271-570. [S15] Newspaper - Village Bell "149-2002 p10 Charles Wilson." [S13] Newspaper - Herald Sun "7 Oct 2002 - viewed online 2011." [S35] Probate Records, PROV (Public Records Office Victoria), VPRS 28/P32, unit 433. [S11] Newspaper - Argus 7 May 1932, p2. [S14] Newspaper - Sydney Morning Herald, 22 Sep 1936, p6. [S11] Newspaper - Argus 28 Dec 1951, p4. Correspondence* 13 Jun 1913 Cyril Edgar Frodsham Starkey Dear Cyril, I am quite unable to accept your decision to separate from me, expressed when I saw you recently at Goring, as final. I do trust that you will reconsider the matter. I now request and beg you to return home and live with me again. If you will do so the past shall be forgotten and I will do my best to make you happy. Correspondence 17 Jun 1916 Cyril Edgar Frodsham Starkey The Filberts, Goring-on-Thames. Dear Bee. I am deeply grateful for your generosity in asking me to return to you, and for your promise to forget the past. I am bitterly sorry for the grief I have caused you, but I cannot alter my decision. Life under the old conditions has become impossible to me, and I can only ask you to forget, and, if possible, forgive me. This is my final decision. 11 Feb 1928, THURSDAY NEXT. At Eleven O'clock. The Antique Section is on Account of Mrs. B. STARKEY, and has been removed from Youlong, Upper Beaconsfield. Antique Mahogany Sofa Card Table. Antique Mahogany Couch and Easy Chair to Match. Antique Louis XIV. Tier Table. Antique Oyster Walnut Queen Ann Secretaire. Mahogany Drop-side Oval Dining Table. Pair Antique Papier-mache Hand Screens. Pair Sheffield Plate 5-Branch Candelabras. Pair Old Yorkshire Ribbon-back Chairs. Large Nest Drawers in Spanish Mahogany. Pair Antique Silver Candlesticks, George IV. 29 Sep 1928, WEDNESDAY, OCTOBER 17. At Half-past Two O'clock. In the Auction-room, ORIENT LINE BUILDING, 352 COLLINS STREET. SALE BY AUCTION. Extensive Outbuildings, Garage, Laundry, Stable, Fowlpens, &c.
LAND 61 ACRES, of Which 15 Acres Are Cleared. TERMS.-One-third Cash, Balance In 3 Yrs., at 6½ Per Cent. Situate 4 Miles from the Officer Railway Station, 2 Miles from Upper Beaconsfield Post-office, 35 Miles from G.P.O., Melbourne. Excellent High Position, Commanding Magnificent Views Over Westernport Bay. The National Archives of the UK; Kew, Surrey, England; Class: J 77; Piece: 1253. Original data: Principal Probate Registry. Calendar of the Grants of Probate and Letters of Administration made in the Probate Registries of the High Court of Justice in England. London, England © Crown copyright. [S185] Property Titles. ; PROV (Public Records Office Victoria), C/T 3695-806 + 2589-614 - Beatrice Starkey of Upper Beaconsfield Gentlewoman - C/T 4414-734 64a 24p = PAK-219.222.223 and PAK-60 (part). [S185] Property Titles. ; PROV (Public Records Office Victoria), C/T 3977-351 - Beatrice Starkey of Upper Beaconsfield Gentlewoman - C/T 4414-734. [S185] Property Titles. ; PROV (Public Records Office Victoria), C/T 1123-557 + C/T 1127-265 - Beatrice Starkey of Upper Beaconsfield Gentlewoman- C/T 4414-734. [S185] Property Titles. 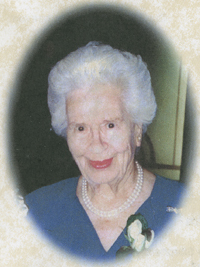 ; PROV (Public Records Office Victoria), C/T 3381-123 - Beatrice Starkey of Upper Beaconsfield Gentlewoman - C/T 4414-734. [S65] Ancestry - various indices, British Phone Books. [S185] Property Titles. 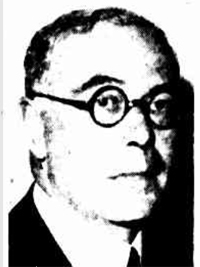 ; PROV (Public Records Office Victoria), C/T 4414-734 - James Armstrong Reid of 12 Wallace Street West Brunswick Gentleman. [S9] Free BMD. Index. Online @ https://www.freebmd.org.uk/ "possible death." [S65] Ancestry - various indices, England Probate index. [S83] Online index to the UK census "1871 census: Class: RG10; Piece: 1092; Folio: 118; Page: 11; GSU roll: 827504. James W Howlett 43 ; Frances Howlett 35 (sister) ; Beatrice Howlett 8 ; Edith A Howlett 7 ; Marianne E Howlett 6 ; Marion H Cruthcott 20 (Governess) ; Emma Stovanan 28 (Housemaid) ; Sophia Coles 37 (Cook) ; Elizabeth A Crowhurst 19 (Young Ladies Maid)." [S83] Online index to the UK census "1891 census: Class: RG12; Piece: 1381; Folio: 48; Page: 49; GSU Roll: 6096491." [S83] Online index to the UK census "Class: RG13; Piece: 936; Folio: 77; Page: 10. [S83] Online index to the UK census "1911 census : Class: RG14; Piece: 5181; Schedule Number: 120. Cyril Edgar Fraddan Starkey 47 ; Beatrice Starkey 48 ; Muriel May Starkey 18 ; Gladys Winifred Starkey 17 ; Vera Maud Starkey 14 ; Agnes May Holeman 28 ; Elsie Eva White 25 ; Ethel Jenner 36 (servants)." [S14] Newspaper - The Australasian (Melbourne, Vic. : 1864 - 1946), Sat 23 Dec 1922, p45. [S14] Newspaper - Table Talk, 28 Dec 1922, p29. [S11] Newspaper - Argus 20 Jan 1928, p6. [S11] Newspaper - Argus 11 Feb 1928, p2. [S11] Newspaper - Argus 29 Sep 1928, p3. Marriage* 15 Oct 1885 Spouse: Jessie Walker. VIC, Australia, #M6697. 19 Jan 1932, BUSH FIRES. DAMAGE AT BEACONSFIELD. 200 Beaters Fight to Save Houses. BEACONSFIELD UPPER Monday - One of the largest fires the district has known occurred on Friday and Saturday, when a strong wind fanned fires that had been burning in the gullies, and they swept through the thick scrub. One fire threatened Mr McMillan's house and the apple and lemon orchard around the house was seriously damaged. On the Officer road, east of the township, a fire burned around the property of Mr Cordner, and destroyed a summerhouse. On Saturday the wind blew with greater force, and the fire, which had damaged Mr McMillan's property, raged the gully toward the houses on St George's road on top of the ridge. All the assistance available was called out and it was only through the untiring efforts of the fire-fighters assisted by the Berwick and Dandenong fire brigades that the position was made safe by evening. Three beaters had a strenuous fight to save Mr Cordner's buildings, and immediately afterwards Kyogle, which is built on one of the upper spurs leading to the ridge along which St George's road runs was threatened. The beaters had eventually to leave the house to the fire, which burnt up to it, but did not set it on fire. By this time 200 men were fighting the fires. The postmistress tendered invaluable help keeping all parts of the district in touch with developments. The efforts of the fire-fighters on Saturday were successful in saving the houses on the west side of the township but the fire was not extinguished. It continued to burn up the gullies farther to the west. The wind increased on Sunday morning, and blew the flames to the north. Danger was threatened at the back of Mrs Keeble's and Mrs Gough's houses, but there were enough volunteers to prevent any damage. In the early afternoon some of the properties on the old Harkaway road were threatened, and a party of fighters went out to them. By early evening they had saved the situation. On the east side of the township the house occupied by Mr Savery and one owned by Mr Berglund were in danger. The wind had changed to the east, and an urgent message was sent for assistance, as the flames were travelling rapidly up the hill toward the properties. Helpers were sent by car, and after a strenuous fight they saved the houses and outbuildings, al though some of the beautiful hedges and the garden of Mr Berglund's property were much burned. The flames were subdued until this afternoon, when a fresh outbreak occurred at the bottom of Judge Bevan's property and threatened to destroy Mrs Wheeler's house. A large number of helpers got the fire under control, and then they left hurriedly to burn a break against a fire which was burn ing up the steep gully below Judge Bevan's house. 10 Jul 1934, NOTICE is herby given that after the expiration of fourteen days from the publication hereof application will be made to the Supreme Court of Victoria in its probate jurisdiction, that PROBATE of the LAST WILL (dated 20th January, 1922) of ISAIAH JOSEPH CORDNER formerly of Malvern but late of 1 Fermanagh street Camberwell, both in the state of Victoria, retired bank manager deceased, may be granted to Mabel Emilie Cordner of 1 Fermanagh street Camberwell aforesaid widow the sole executrix named in and appointed by the said will. [S35] Probate Records, PROV (Public Records Office Victoria), VPRS 28/P3, unit 2610; VPRS 7591/P2, unit 933. [S1] Registry of Births Deaths and Marriages Pioneer Index Victoria 1836-1888 "#B11699 [par Henry CORDNER & Martha HISLOP]." [S11] Newspaper - Argus 24 Oct 1885, p1. [S2] Registry of Births Deaths and Marriages Federation Index Victoria 1889-1901 "#D9213 (Age 36) [par William WALKER & Jane COYLEAN]." [S3] Registry of Births Deaths and Marriages Edwardian Index Victoria 1902-1913 "#M7699." [S11] Newspaper - Argus 6 Dec 1902, p9. [S11] Newspaper - Argus 7 Jul 1934, p13. [S11] Newspaper - Argus 19 Jan 1932, p7. [S11] Newspaper - Argus 10 Jul 1934, p13. [S35] Probate Records, PROV (Public Records Office Victoria), VPRS 28/P5, unit 522; VPRS 7591/P4, unit 77. [S185] Property Titles. ; PROV (Public Records Office Victoria), C/T 4414-734 - Mabel Emilie Cordner of 6 Anzac Street Murrumbeena Married Woman. [S185] Property Titles. ; PROV (Public Records Office Victoria), C/T 4414-734 - Marion May Cruthers of 24 Central Park Road East Malvern Married Woman. [S35] Probate Records, PROV (Public Records Office Victoria), VPRS 28/P4, unit 2575; VPRS 7591/P3, unit 424. [S185] Property Titles. ; PROV (Public Records Office Victoria), C/T 6722-218 & C/T 2955-857 - Albert Daley Finlay of 316 Elizabeth Street Melbourne Manufacturer. [S185] Property Titles. ; PROV (Public Records Office Victoria), C/T 6722-218 & C/T 2955-857 - David John Fullerton Flax Expert and Ellen Grace Carlotta Fullerton Married Woman both of Upper Beaconsfield. Death-Notice* 6 Jun 1942 RICHARDSON.— On June 5, at his residence, 20 Barry-street, Kew, Joseph Arthur, loved husband of E. Margaret Richardson, loved father of Margaret (Mrs. C. Denis Ryan, Adelaide), A. Leighton (Capt. A.M.F.. Duntroon); John W. (Beaconsfield Upper) and J. Falding (Kew), loved granddad of Meredith and Veronica Ryan and Timothy and Garry Richardson. Sincere regret was expressed by all branches of the legal profession yesterday when news was received of the sudden death at 8.30 am yesterday of Judge Richardson aged 62. His death came as a great shock to his many friends as the judge had presided in General Sessions on Thursday, and was to have officiated in the same jurisdiction yesterday. Appointed a judge of the County Court in February, 1936, Judge Richardson endeared himself to a wide circle of friends as a modest and genial personality. Educated at an English public school, Judge Richardson was admitted to the Inner Temple London, in 1901. Returning to Australia he was admitted to the Victorian Bar in 1905. Succeeding Mr W K Fullagar, KC he became lecturer on the Law of Wrongs at Melbourne University and later lecturer on Law of Evidence and Procedure. He leaves a widow, 3 sons and a married daughter. [S61] Upper Beaconsfield History Archive ,"Information from Tim Richardson - 1995." [S11] Newspaper - Argus 10 Dec 1904, p13. [S5] Registry of Births Deaths and Marriages Death Index Victoria 1921-1985 "#D5520 (Age 62) [par Samuel Alfred RICHARDSON & Bessie Maria WALKER]." [S16] Newspaper - The Age 6 Jun 1942, p9. [S11] Newspaper - Argus 6 Jun 1942, p3. 18 Apr 1917, Death of father: McCREA -On the 17th April, 1917, at his late residence "Melsonby," Molesworth street, Kew, John Falding McCrea, the beloved husband of Eugenie McCrea, and father of Mrs J A Richardson, Edona and Lieut Henry F McCrea (on active service). McCREA. - A tribute of respect to our late esteemed employer Mr J F McCrea, who passed away at "Melsonby," Molesworth street, Kew, on Tuesday, April, 17 1917. Deeply regretted. Eugenie Margaret to Frankston 24 Oct 1949." [S11] Newspaper - Argus 18 Apr 1917, p1. [S11] Newspaper - Argus 27 Dec 1924, p1.